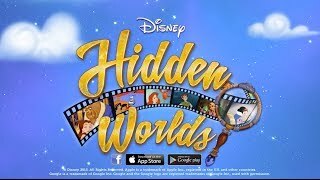 //Powerhouse Animation Studios worked with Disney Interactive to create cinematic cut-scene animation for their newest mobile/social game: Hidden Worlds. This robust hidden object game takes users through their favorite Disney universes including Beauty and the Beast, Aladdin, Tangled, The Little Mermaid, and countless others. Play for free on Facebook or download the game now from the app store! Connect with others and share progress across devices. Powerhouse animators worked with new Disney characters, traditionally animating the connective cinemas throughout the game. The game introduces Chrona and the Inklings who guide the user through all of the Hidden Worlds and announce missions to be solved by finding missing objects. We worked in Flash, After Effects, and Photoshop to create the colorful Disney landscape of Hidden Worlds.